That ignorance is good, in a way. For many in my generation, Colson, who died today at 80, is forever a symbol of government hypocrisy. As part of the “dirty tricks” gang in the Nixon administration — using various evil methods to take down political opponents — he helped foster a public cynicism and distrust that still haunts us. But the ignorance is also unfortunate, for Colson was one of the most influential figures in our generation — not only in politics but prison reform and evangelical Christianity. 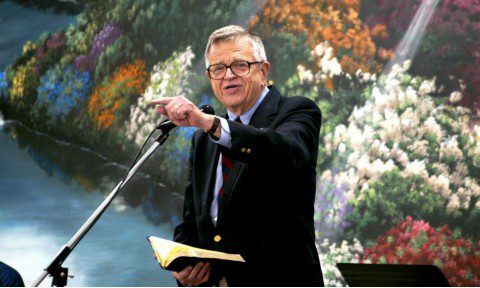 After his own jail time, Colson founded Prison Fellowship Ministries, which ministers to some 2000,000 inmates in 1,376 American prisons — and branches in more than 110 nations. He spoke out for prison reform in speeches and books such as 2001’s “Justice That Restores.” His organization dealt with issues of parole, mental health, proportional punishment, women in prison and the role of faith-based organizations in working with prisoners. He called for victims of crime to have a role in the justice system — and even have a chance to meet those who committed the crimes against them. Even in reporting his death, not everyone grasped the spiritual side of Colson. Of the 57 paragraphs in the Washington Post’s obituary, only seven or eight dealt with the faith that steered his life for more than 38 years — and three of the paragraphs mentioned the “skepticism and even hilarity” from many columnists who heard of his conversion. An Associated Press obit mentioned Christianity exactly three times in its 1,475 words, even though Jesus was the center of Colson’s life for more than three decades. And of those three, two were about his book “Evangelicals and Catholics Together,” and the other couched cynicism that he had a true change of heart. Colson did that in many ways. Besides his legislative activism, he also developed the Angel Tree Project, which gets churches to donate Christmas gifts to children of inmates. Even Prison Fellowship’s quarterly publication “Inside Journal” has a healthy circulation of 100,000, at a time when many newspapers are shrinking. Colson often also went back to prison, as it were, to minister directly to the incarcerated. I covered one such service on Easter 2007 at the Pompano Transitional Center. It was a fitting place for a day that celebrates Jesus’ resurrection, he told 230 inmates there. “We’re celebrating a man who was a prisoner, who died on a cross, then went into a tomb that could not contain him. Where better to celebrate than in the tomb of society? This is the Colson who deserves to be remembered. A man who was changed and who brought about change. A man who found himself in something, and someone, larger than himself. A man who left prison, but continued to touch people in fellowship.